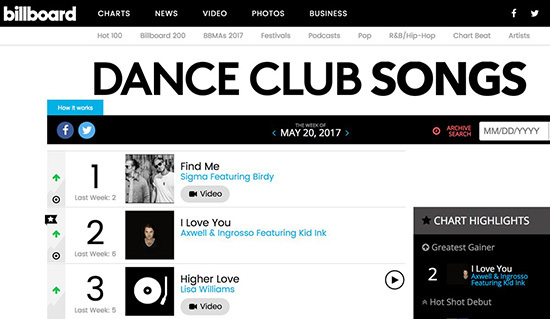 SIGMA’S ‘Find Me’ featuring strings by Rosie Danvers and Wired Strings has reached pole position on the Billboard Dance Club Charts!! Strings by Rosie Danvers and Wired Strings. Rosie Danvers and Wired Strings are featured on DAVE'S stunning No 1 debut album. 'Psychodrama'. WIRED STRINGS featured on the new album from LITTLE SIMZ. Rosie Danvers and Wired Strings are featured on ‘Black' the new release from DAVE. Rosie Danvers in NEW collaboration with DAVE at Abbey Roads. to Wired Strings on RAY BLK's 'Paradise'. Strings Arranged by Rosie Danvers. Listen to Wired Strings on PAUL WELLER'S 'Gravity', from his album 'True Meanings'. Listen to LITTLE SIMZ track 'Offence' featuring Wired Strings. Rosie Danvers back in the studio with MICHAEL KIWANUKA. Rosie Danvers and Wired Strings record 'Silent Night' for PALOMA FAITH. Rosie Danvers and Wired Strings are featured on 'RITA ORA's No.1 album 'PHOENIX'! Rosie Danvers and Wired Strings are featured on PALOMA FAITH'S new Zeitgeist album. Rosie Danvers in new collaboration with STEPHAN MOCCIO. Rosie Danvers in brand new collaboration with PROFESSOR GREEN & RAG 'N' BONE MAN. Rosie Danvers and Wired Strings are back in the studio with BASTILLE! Rosie Danvers in brand new collaboration with RAY BLK. Wired Strings live on stage at the Hammersmith Apollo with REX ORANGE COUNTY! to Rosie Danvers and Wired Strings on the new JUNGLE album! Rosie Danvers Orchestrates 'We Got Love' for KANYE WEST. Rosie Danvers and Wired Strings back in the studio with MICHAEL KIWANUKA. Wired Strings recording new album with BROCKHAMPTON. Rosie Danvers and Wired Strings are back in the studio with PALOMA FAITH. to our latest collaboration with RALEIGH RITCHIE, 'Time in a Tree'. Rosie Danvers and Wired Strings in new collaboration with � MILEY CYRUS. Rosie Danvers in the studio with MARK RONSON and YEBBA. to Wired Strings on the new song 'Ordinary People' from BUGZY MALONE & JP COOPER Strings Arranged by Rosie Danvers. Rosie Danvers and Wired Strings featured on 5SOS album! Rosie Danvers in the studio with the brilliant MAISIE PETERS! STORMZY'S 'Don�t Cry for Me' is nominated for an Ivor Novello. STRINGS by Rosie Danvers'. Wired Strings are featured on the MICHAEL KIWANUKA live album, 'Out Loud'. Rosie Danvers back in the studio with MNEK! Rosie Danvers in brand new collaboration with RALEIGH RITCHIE. Listen to ADY SULEIMAN'S stunning new album, 'Memories', featuring Wired Strings. Rosie Danvers and Wired Strings live on stage with DJ SASHA. Rosie Daners receives disk from NOEL GALLAGHER for 300,000 sales. Wired Strings in exciting new collaboration with LIL' SIMZ. Rosie Danvers and Wired Strings featured on the new release from TOM GRENNAN. to Wired Strings on PAOLOMA FAITH'S classic disco track, 'Til I'm Done' for her album, 'The Architect'. Wired Strings in the studio with Warner's NIKHIL D'SOUZA. Wired Strings perform �You are the Reason� with CALUM SCOTT live at ABBEY ROAD. Wired Strings join THE SCRIPT on stage for a performance of 'Arms Open' on Jonathan Ross. Rosie Danvers and Wired Strings are featured on the new PALOMA FAITH album,'The Architect'. Rosie Danvers & Wired Strings featured on new SHED SEVEN album. Wired Strings are featured on the new BASTILLE single, 'World Gone Mad'. Rosie Danvers in new collaboration with SIGMA on 'Forever', Ft. Quavo & Sebastian Kole. Wired Strings are featured on PALOMA FAITH's new single 'Guilty'. LISTEN to Wired Strings on the new JP COOPER album. Wired Strings LIVE onstage with LORDE. Wired Strings LIVE at Abbey Road with CALUM SCOTT. to WIRED STRINGS featured on the new BASTILLE cover of 'Basket Case'. Rosie Danvers in the studio with JUNGLE. Rosie Danvers in new collaboration with the X AMBASSADORS. Rosie Danvers in new collaboration with TOM GRENNAN. Rosie Danvers and Wired Strings in the studio with Louis Tomlinson. Rosie Danvers in new collaboration with BASTILLE! Rosie Danvers and Wired Strings in exciting new collaboration with 5 SECONDS OF SUMMER! Wired Strings perform with LORDE for GLASTONBURY! Rosie Danvers back in the studio with SIGMA! Rosie Danvers in new collaboration with SHED SEVEN and producer, YOUTH MARTIN. Rosie Danvers and Wired Strings live at the Royal Albert Hall with SIGMA! Rosie Danvers and Wired Strings in exciting new collaboration with BASTILLE. Wired Strings join House DJ SASHA live on stage at the Barbican Hall. Michael KIWANUKA wins BEST song at the Ivor Novello Awards featuring strings by Rosie Danvers. SIGMA'S 'Find Me' Ft. Birdy reaches No. 1 on Billboard Dance Club Chart. Rosie Danvers and Wired Strings in brand new collaboration with JP COOPER. Rosie Danvers and Wired Strings perform with the STEREOPHONICS for Teenage Cancer Trust. STORMZY releases a video for his track ‘COLD’ from GSAP. Wired Strings perform live on the BBC with EMELI SANDÉ for Comic Relief. Rosie Danvers and Wired Strings in th\e studio with Callum Scot and Fraser T Smith. to Rosie Danvers and the Wired Strings and Brass on STORMZY's album 'Gang Signs and Prayer'. Wired Strings recording EMELI SANDÉ's new album. Wired Strings perform 'The Grave' with GEORGE MICHAEL live on TOTP in 2003. So beautiful, so poignant. to the NEW Acoustic version of SIGMA'S 'Find Me', Featuring BIRDY. to RALEIGH RITCHIE'S new track, 'STRAITJACKET' featuring strings by ROSIE DANVERS & WIRED STRINGS. Wired Strings perform 'Breathing Underwater' live with EMELI SANDE on Graham Norton. Behind the scenes with Rosie Danvers and Wired Strings recording 'Perfect Ruin' with KWABS! Wired Strings in the studio recording 'Find Me' with SIGMA! EMELI SANDE'S incredible 'Breathing Under Water'. Strings Arranged by Rosie Danvers. Rosie Danvers in exciting, brand new collaboration with singer/ songwriter STANAJ. Rosie Danvers new collaboration with SIGMA and BIRDY is Radio 1's TRACK of the DAY!! Rosie Danvers and EMELI SANDE collaborate on 'Breathing Underwater' and it's Radio 1's TRACK of the DAY! Rosie Danvers and Wired Strings & Brass in the studio with ‘STORMZY'! Wired Strings perform live on 'LATER...' with EMELI SANDE! Rosie Danvers and Wired Strings back in the studio with SIGMA! Rosie Danvers and Wired Strings live on stage with Michael Kiwanuka for BBC 6 Music. Rosie Danvers and EMELI SANDE collaborate on 'Hurts' and it's Radio 1's TRACK of the DAY! Rosie Danvers and Wired Strings in the studio with RITA ORA! WIRED STRINGS & BRASS are back on tour with ADELE in the US!! Listen to Wired Strings on IZZY BIZU’S debut album 'Moment of Madness'. String Arrangements by Rosie Danvers. Wired Strings new collaboration with STORMZY. MICHAEL KIWANUKA'S album, 'Love and Hate' is Number 1 this week!! Rosie Danvers in new collaboration with RALEIGH RITCHIE for TOP MAN. MICHAEL KIWANUKA’S album ‘Love and Hate’ is out TODAY! Wired Strings are currently on tour with the STEREOPHONICS! Rosie Danvers and Wired Strings back the studio with OLLY MURS! Wired Strings and Brass join ADELE in Glastonbury performance. SIGMA ft. TAKE THAT is track of the day on Radio 1!!! Strings Arranged by Rosie Danvers. footage from SIGMA Ft. TAKE THAT Recording session with WIRED STRINGS! Wired Strings in the studio with Ady Suleiman. Wired Strings are back on tour with the amazing ADELE! Rosie Danvers in new collaboration with PALOMA FAITH. Wired Strings perform for Kim Kardashian on Mothers Day. Rosie Danvers and Wired Strings in new collaboration with Sigma ft. Take That. Wired Strings in the studio with the incredible Emeli Sande! Rosie Danvers and Wired Strings in the studio with ELLI INGRAM! Rosie Danvers and Wired String live on Graham Norton with RALEIGH RITCHIE! Wired Strings featured on new MICHAEL KIWANUKA single. Strings Arranged by Rosie Danvers. Wired Strings in New York with ENYA this week. Rosie Danvers and Wired Strings on tour. Listen to another anthemic RALEIGH RITCHIE song featuring Strings by Rosie Danvers and Wired Strings. Wired Strings perform live on stage with LAPSLEY. Wired Strings perform at ‘TIGER OF SWEDEN' Fashion Show. Rosie Danvers on stage with ADELE for the X Factor Final. to RALEIGH RITCHIE'S gorgeous new song 'Man Now Boy'. to Wired Strings on the new MAVERICK SABRE album. Strings Arranged by Rosie Danvers. RALEIGH RITCHIE'S 'Bloodsport15' is Radio 1's track of the day! ANDRA DAY nominated for TWO Grammy Awards. String Arrangements by Rosie Danvers. Rosie Danvers in the studio with BIRDY! Wired Strings perform 'Skyfall' with ADELE at the BBC'. Wired Strings in brand new ENYA video 'Echoes in the Rain'. Rosie Danvers performs 'Hello' 'Live at the BBC' with ADELE. Rosie Danvers and Wired Strings live on stage with ADELE in New York! Wired Strings perform in the new ENYA video. Rosie Danvers on stage with ADELE for the NRJ Awards. Rosie Danvers in new collaboration with SIGMA and RITA ORA, 'Coming Home'! Rosie Danvers in ENYA collaboration. Wired Strings in the studio with ELLA HENDERSON. Rosie Danvers Orchestrates the '808 and Heartbreak' album for KANYE WEST. Rosie Danvers in new collaboration with MICHAEL KIWUNAKA. Listen to the stunning new release from RAE MORRIS. Strings Arranged by Rosie Danvers. JESS GLYNNE is No. 1 with 'Don't Be So Hard'. IZZY BIZU'S video for 'Give Me Love'. AWESOME video for RALEIGH RITCHIE'S 'Bloodsport'. Strings Arranged by Rosie Danvers. LOVE this song we recorded with IZZY BIZU! Wired Strings in brand new collaboration with MAX JURY. Rosie Danvers and Wired Strings are featured on RALEIGH RITCHIE'S single 'Bloodsport'. Wired Strings in the studio with vocal sensation, ADY SULEIMAN. Rosie Danvers in brand new collaboration with FLEUR EAST. Wired Strings in the studio with ELLA HENDERSON and the mighty TMS! JESS GLYNNES' new single 'Don't be so Hard' is Radio 1's 'Track of the Day'. LISTEN to Wired Strings on the new single by NATE REUS 'Great Big Storm', Orchestration by Rosie Danvers. Rosie Danvers in new collaboration with the amazing, RAE MORRIS. Rosie Danvers in new collaboration with KANYE WEST'. Rosie Danvers and Wired Strings in the studio with BIRDY'. Wired Strings collaborate with LIANNE LE HAVAS on 'Later with Jools'. Rosie Danvers in brand new collaboration with DC BREAKS. Wired Strings in the studio with the STEREOPHONICS. Wired Strings perform with the STEREOPHONICS for Teenage Cancer Trust at the RAH. Rosie Danvers and Wired Strings in the studio with the amazing, BECKY HILL. Exclusive footage of Rosie Danvers and Wired Strings recording KWABS' Perfect Ruin' at RAK. THE SCRIPT'S new video for 'Man on a Wire'. Strings Arranged by Rosie Danvers. Rosie Danvers and Wired Strings in the studio with Jesse and Joy. Wired Strings in brand new collaboration with DJ, REDLIGHT. KWABS' Perfect Ruin' is 'track of the day' on Radio 1. Listen to KWABS glorious new track 'Perfect Ruin'. Strings Arranged by Rosie Danvers. Rosie Danvers and Wired Strings are featured on the new 'PEACE' album, 'Happy People'. Rosie Danvers in exciting new collaboration with JESS GLYNNE. Wired Strings are featured in the new LAURA DOGGETT video. YEARS AND YEARS top 'BBC Sound of 2015' list'. Lisen to Wired Strings on the new OLLY MURS duet with DEMI LOVATO, 'UP'. Rosie Danvers in brand new collaboration with FUN. Rosie Danvers in new collaboration with IZZY BIZU. Rosie Danvers and Wired Strings are back in the studio with MNEK! Rosie Danvers and NE-YO live on stage at the Royal Albert Hall. Listen to Rosie Danvers and Wired Strings on ELLA HENDERSON'S No. 1 album. Listen to Wired Strings on JAMIE T's new album. Rosie Danvers in new collaboration with KWABS. Wired Strings perform with ELLA EYRE on Channel 4. Wired Strings in new collaboration with TOM O'DELL. Rosie Danvers in new collaboration with YEARS AND YEARS. Wired Strings record cancer charity single for SAMUEL L. JACKSON! Two of our favourite artists, MNEK and RALEIGH RITCHIE are nominated for the 'Best Newcomer' MOBO Award 2014! The SCRIPT are No.1 this week with their new album 'No Sound Without Silence'. Strings Arranged by Rosie Danvers. RALEIGH RITCHIE'S performance of 'Stronger Than Ever' for SBTV and listen to our glorious STRINGS!! Wired Strings in the Live Lounge with ELLA EYRE. Listen to FOXES 'Beauty Queen' from her album, 'Glorious'. Strings Arranged By Rosie Danvers. TINIE TEMPAH video for 'Tears Run Dry' Strings Arranged by Rosie Danvers. Rosie Danvers collaborates with the IZZY BIZU. Rosie Danvers collaborates with OLLY MURRS for new album. Rosie Danvers and Wired Strings recording RALEIGH RITCHIE'S 'Stronger Than Ever'. Rosie Danvers teams up with THE SCRIPT to record 'Hail, Rain or Sunshine' for the hit film 'Mrs Brown's Boys'. 'RALEIGH RITCHIE'S 'Stronger The Ever' is Radio 1's Track of the Day!!! Wired Strings' favourite song of the Summer! GRAFFITI 6 - 'You got the Sunshine'. Strings Arranged by Rosie Danvers. Listen to Rosie Danvers' and RALEIGH RITCHIE'S 'Stronger than Ever' advertising the new ITV DRAMA channel. Rosie Danvers and FRANK OCEAN collaborate for the Met Ball! Rosie Danvers back in the studio with MNEK. Rosie Danvers collaborates on new album with 'THE SCRIPT'. Rosie Danvers is back in the studio with the amazing RALEIGH RITCHIE. Rosie Danvers in new collaboration with indie rock band, PEACE. Rosie Danvers in new collaboration with the amazing MNEK. Rosie Danvers Orchestrates and Records 'XO' for Beyonce's Brits performance. Rosie Danvers collaborates with NOEL GALLAGHER on new album. Rosie Danvers collaborates with one of her favourite artists, BEN TAYLOR. Rosie Danvers collaborates with MAVERICK SABRE for new album..
New video for GABRIELLE APLIN'S 'Salvation'. Strings Arranged by Rosie Danvers. Rosie Danvers in new collaboration with JAMIE T.
Wired Strings recording RALEIGH RITCHIE'S 'Stronger Than Ever' at Air Edel. Listen to Wired Strings collaboration with AWESOME new talent, RALEIGH RITCHIE.